Paula P. Warren, MD, is a physician at Hattiesburg Clinic Neurology. 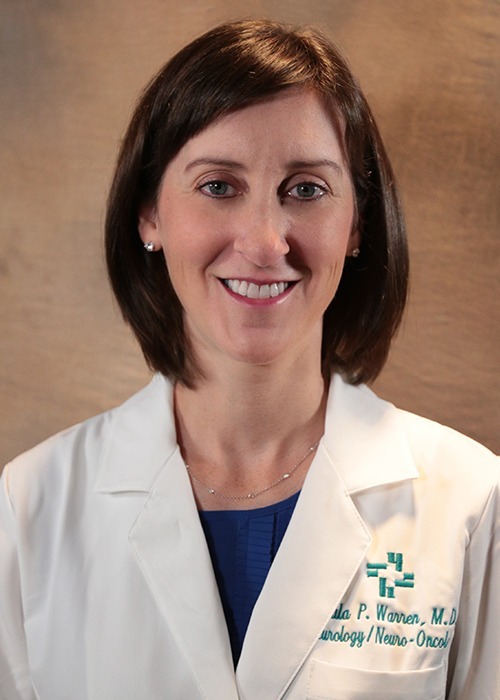 Dr. Warren received her medical degree from the University of Alabama at Birmingham in Birmingham, Ala., where she also completed an internship, as well as a residency in neurology and a fellowship in neuro-oncology. Additionally, Warren served as a faculty member for three years at the University of Alabama at Birmingham. She is board certified in neurology and epilepsy by the American Board of Psychiatry and Neurology and in neuro-oncology by the United Council for Neurologic Subspecialties. Dr. Warren is professionally affiliated with the American Academy of Neurology, Society for Neuro-Oncology, American Epilepsy Society and Southern Headache Society. In her practice, Dr. Warren provides general neurologic care with a focus on brain tumors and other associated conditions, including seizures.